Obscure Hipsterism … [is] about psychology! 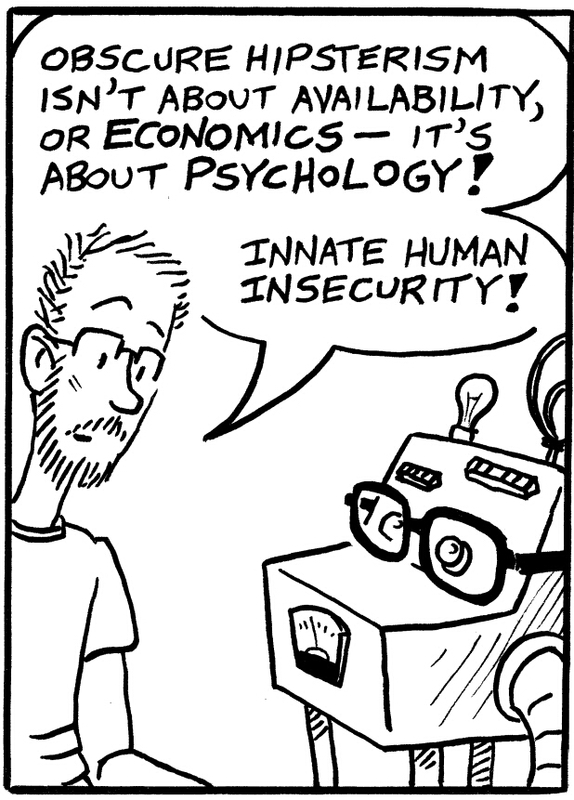 Innate human insecurity! It’s about the universal compulsion to outline one’s constructed self-image via arbitrary tribal associations! As long as human nature survives, hipster obscurists will … roam the land in … countless tiny, insular herds! Den kompletten Comic gibt’s hier.